Ted Pastrana has extensive experience in litigation and in commercial transactions. He is well experienced in merger and acquisition transactions, joint ventures, loan and financing transactions, establishment and registration of new business including foreign investments (whether as corporation, partnership, branch, representative office or regional headquarters), applications for investment incentives, capital/equity structuring and restructuring, regulatory compliance and corporate dissolution and liquidation. Ted has a strong background in aviation law. He served as Vice-Chairman of the Aerospace Committee of the Inter-Pacific Bar Association (IPBA). Ted Pastrana’s aviation practice includes representing international carriers Singapore Airlines, SilkAir and SIA Cargo in contentious and regulatory matters. He has acted for the insurers of Qantas, Jaka Transport and other carriers in matters ranging from passenger’s and shipper’s claims to aviation accidents. He also has a broad aircraft finance experience covering negotiation and documentation of aircraft transactions such as aircraft sale and purchase, aircraft lease, and joint or fractional ownership. He also advises foreign lenders and their advisors in financing the aircraft acquisition of local carriers, and in the registration and deregistration of aircrafts in the Philippines, registration and cancellation of aircraft lien, assignment of rights and other related transactions. Ted Pastrana is a Professor of Law at the San Sebastian Institute of Law teaching Obligations and Contracts, Civil Law Review and Taxation Law Review. He was a Bar Reviewer in Taxation and Civil Law at the Jurists Bar Review Center. 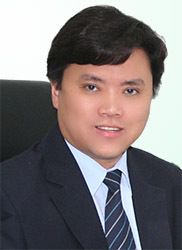 Ted Pastrana was Dean’s Lister at both the San Beda College of Law where he obtained his law degree, and at the De La Salle University where he obtained his Bachelor of Arts degree in Economics. He was admitted to the Philippine Bar in 1992. Before forming Pastrana Fallar with his law partner Jun Fallar, Ted Pastrana was a partner of JGLaw, and an associate of Angara Abello Concepcion Regala & Cruz (ACCRA) Law Offices.